Red Dead Redemption 2 is now up on the Microsoft store. The page lists everything from the story, price, pre-order bonuses, and the file size. If you scroll down to the bottom of the webpage, you will notice a section titled “Additional information.” Once there, you can find that the file size will be closing in on 89 GB. 88.57 GB to be exact. Owners of the 500 GB storage Xbox One will probably be doing some rearranging of some applications to fit Red Dead Redemption 2 on their system. I know I will be. It is amazing that one game can take up a fifth of a consoles storage. The file size is not listed on the PSN store for the game, but it is safe to assume that it will be very similar to the Xbox One version. 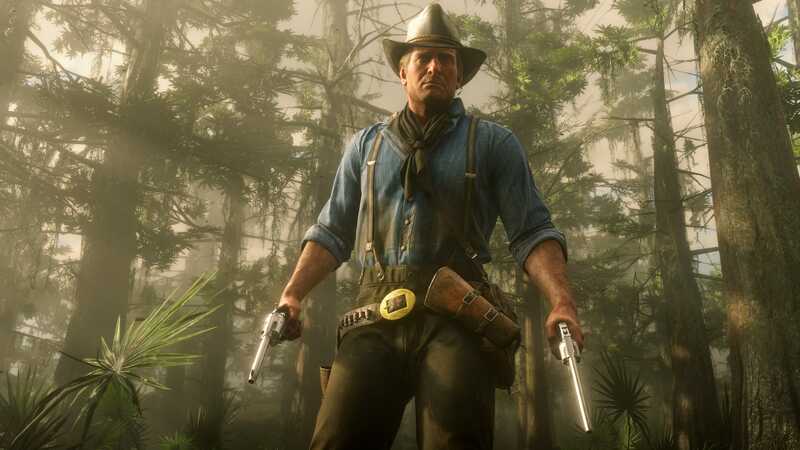 For more coverage of Red Dead Redemption 2, check out DualShockers’ hands-on preview or check out some screenshots and more details over guns in-game. The game is set to release on PS4 and Xbox One on October 26th. You can still pre-order the game through Amazon right here.